Rapper Jim Jones dodges jail time. Jones must be leaping for joy. Jones would have been facing considerable jail time if convicted for gun and drug weapon charges. However, Jones took a plea agreement instead. Jones and two other men were pulled over for traffic stop when illegal drugs and a firearm was found in June 2018. 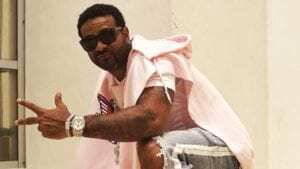 What happens now for Jim Jones? Jones was traveling in a vehicle with two other men when drugs and a weapon was found. Jones admitted that the Oxycodone and Percocet were his prescription drugs but he did not admit to owning illegal drug or weapon. All of the men were arrested in June 2018 after the traffic stop, according to Complex. Jones was charged with five felonies and a misdemeanor. Although Jones is not doing jail time he was hit with a fine of $1500 and faces two years of probation. Three out of six charges were dropped. Jones must abstain from the use of alcohol and drugs while he is on probation. 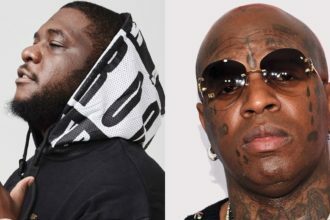 IS THE AR-AB BIRDMAN DEAL DEAD??? 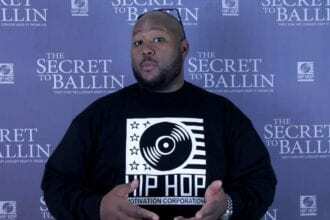 Kenyatta Griggs Insight On What He Thinks Happened To Nipsey!! !